Today I took my first cooking class in Italy! The class started with a tour of the Central Market of San Lorenzo. 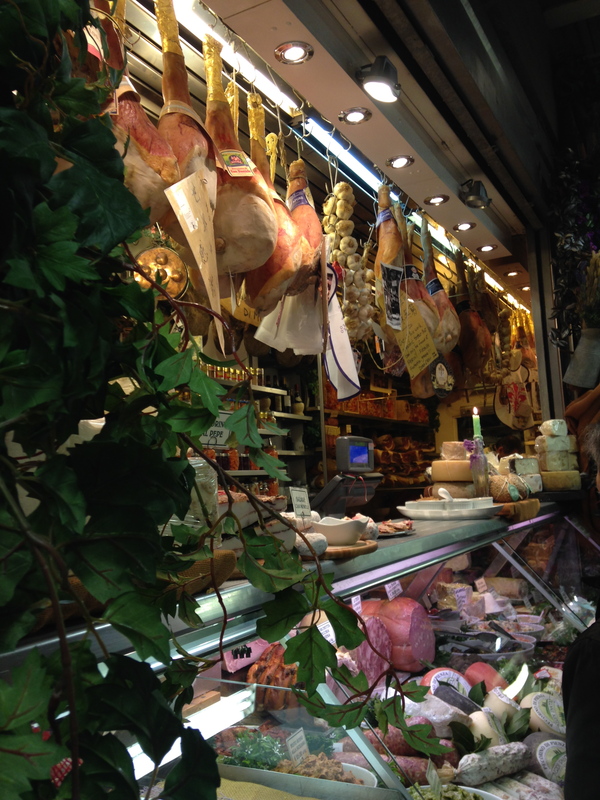 This market is filled with endless booths of butchers, food purveyors, and local artisans. I could spend hours in this place. 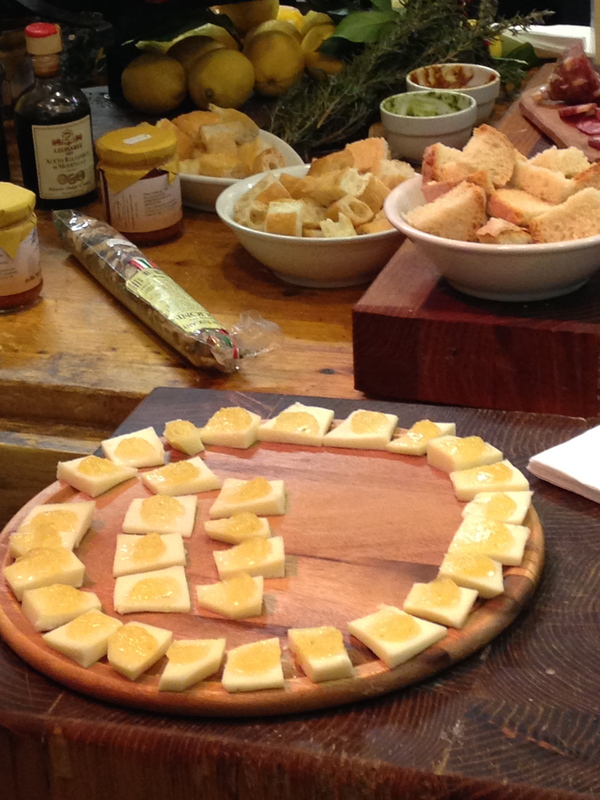 We had a tasting of pomodoro sauce, cheese, bread, olive oil and balsamic vinegar. We then were able to shop for a few minutes before the group headed over to a butcher (one of about 12) to buy the meat for the bolognese sauce we would be cooking later. After touring the market, we headed to the kitchen to begin cooking. We first made tiramisu and it was truly one of the most delicious I’ve ever eaten. The focus was more on the mascarpone cream than it was on the lady fingers, which I prefer. Although I’m not much of a dessert-maker, I definitely plan to make this again! Next, we assembled the bolognese sauce as it needs at least an hour and a half to cook (some Italians will cook it up to 5-6 hours). The ingredients were simple (quickly becoming a theme in my food experience here): carrots, celery, onion, pork, beef, Chianti and then tomato paste. 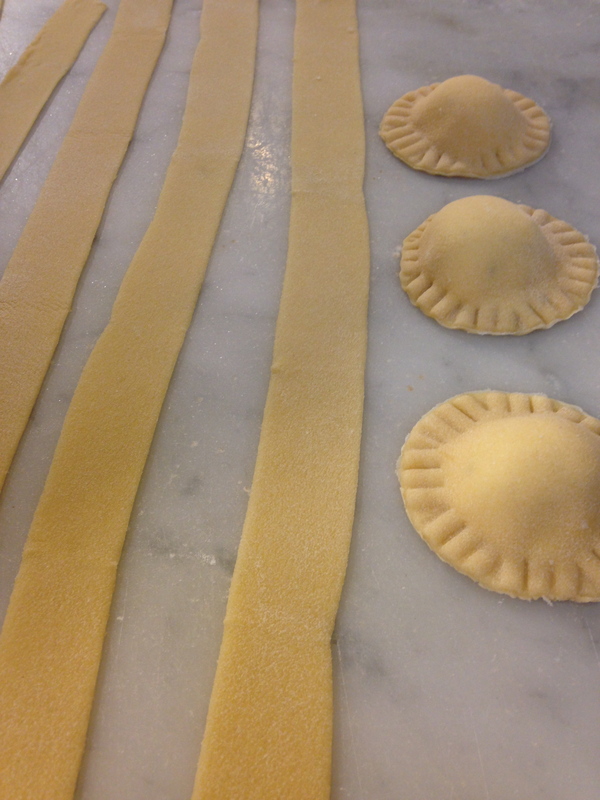 Lastly, we made fresh pasta. Although I’ve made pasta several times before, I learned some new tricks that will help make my pasta even better. And it inspired me to tackle fresh pasta in Italy, even in our small apartment kitchen without any of the tools I’m used to using at home. While our pasta dough rested, we enjoyed some bruschetta and wine. 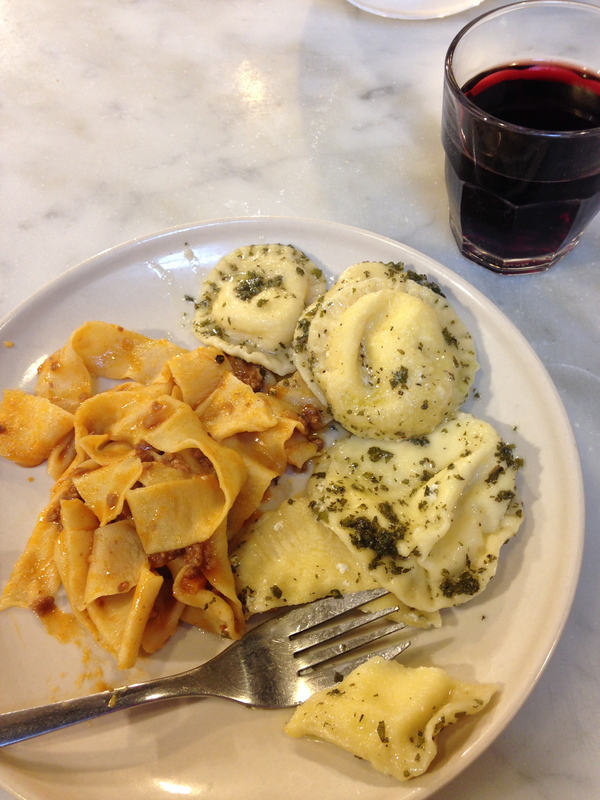 Once the pasta dough was ready, we rolled the dough and made ravioli (filled with a ricotta/spinach filling and served with a sauce made from butter and sage) and tagliatelle (served with the bolognese). Once everything was prepared, we feasted! And after we finished the pasta, we enjoyed our carefully crafted tiramisu desserts. I was stuffed when it was over! I’m so glad you did this class right away!! Do you think it’s one we should do together? I personally wouldn’t take it again, only because I’m watching my budget and will want to spend my money on a class where I will learn different things to cook. But you and Kyle would enjoy it, I’m sure! I will also be exploring other cooking classes over the coming weeks, so maybe I’ll discover something we can all take together.